Do you find yourself setting professional goals but not following through on achieving them? Do you have trouble getting organized in your daily work schedule or with professional deadlines and projects? Are you interested in becoming a more effective leader? Do you find yourself running meetings which are not organized and take up too much valuable time? Do you want to discover ways to inspire and produce creative and innovative ideas which transform your organization and those in it? Executive coaching provides professionals with an opportunity to focus on their career objectives. 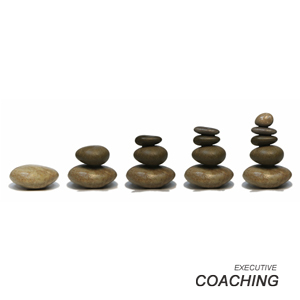 An executive coach works with an individual, with a team or with an organization to achieve optimal results. The executive coach provides an objective, unbiased perspective to help professionals identify successful solutions and effective behaviors to achieve professional goals. In today’s world, businesses and organizations are continually adjusting to meet the needs of their stakeholders and customers. This places an onus on leaders and professionals to make sure their organizations run efficiently and have the capability to grow in order to meet the needs of a marketplace in constant transition. Executive coaching can facilitate changes in leadership, organizational re configurations, physical moves, downsizing, upsizing or complete overhauls of an organization’s mission statement. A major advantage offered by executive coaching occurs during a period some would erroneously consider coaching unnecessary – times of stability. These periods can be powerfully impacted by coaching. Instead of becoming complacent, or relying on outdated or ineffective methods, coaching can encourage continued improvement in executives, professionals and organizations; it becomes a source for professional development without removing the individual from his or her daily responsibilities. Overall, executive coaching provides individuals and businesses the opportunity to identify strengths and learn how to utilize them to ensure continued success in future endeavors. WHERE CAN I MEET WITH AN EXECUTIVE COACH?